Our range of products include cnc spm with atc, sprocket od radius milling spm, cnc spm for shift fork operations, cnc facing and centring spm for crankshaft and cnc keyway milling spm. Being client oriented, our company is a highly trusted manufacturer and supplier of CNC SPM with ATC for Crank case Operations. Manufactured using the superior grade raw material and modern technology, the crankcase is offered in tune with the industry standards. The crank shaft helps in connecting the rod assembly, plunger assembly and the cross head. 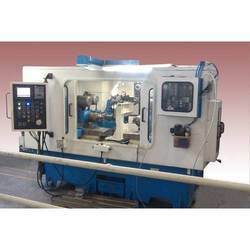 To cater the needs of the clients, CNC SPM with atc for Crank case Operations is available at the competitive prices in the market. 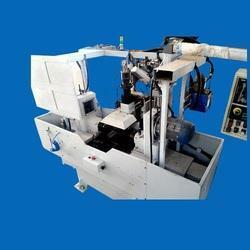 The machine is resistant to corrosion and offers the best results with smooth functioning. Minimum Order Quantity 1 no. This Sprocket OD Radius Milling SPM are manufactured by the team of skilled diligent professionals who are well versed with the exact requirements of the esteemed patrons. We offer CNC SPM for Shift Fork Operations to achieve the quality of threads, even in materials like aluminium or brass. 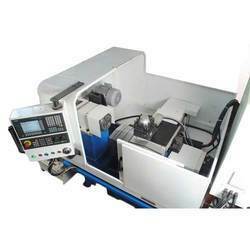 We manufacture CNC Facing And Centring SPM For Crankshaft typically designed and developed to cater to the welding requirements clients from numerous automobile and general engineering industries. The crankshaft will be loaded into the fixture. Clamped by hydraulic operated jaws. Precision spindle unit is mounted on two Z servo slides. The fixture is mounted on servo operated Y slide. Std. 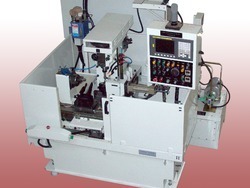 Special tooling arrangement is provided. Facing cutter after rework is located on a special adaptor. On special adaptor, collet nose is provided to hold centering tool. All operations will be carried out to finish the job. 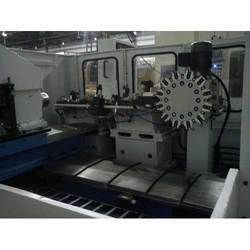 Looking for CNC SPM Machines ?